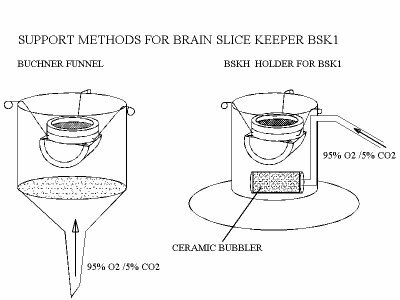 The Brain Slice Keeper has been designed to pre-incubate brain slices prior to transfer into recording chambers. It consists of a pair of closely fitting acrylic rings, upper and lower, between which is wedged a sheet of nylon netting. In operation, the BSK1 is totally immersed in an ACSF-filled purpose designed holding vessel (BSKV) into which a 95% O2, 5% CO2 gas mixture is supplied with a ceramic bubbler. The bubbles rising from the base of the BSKV saturate the ACSF and provide constant circulation of medium to the slices which rest on the nylon net. Since the lower ring of the BSK1 carries a deflector shield, bubbles are prevented from being trapped under the slices and ensure continuous circulation of medium. Slices remain viable for many hours in these conditions. 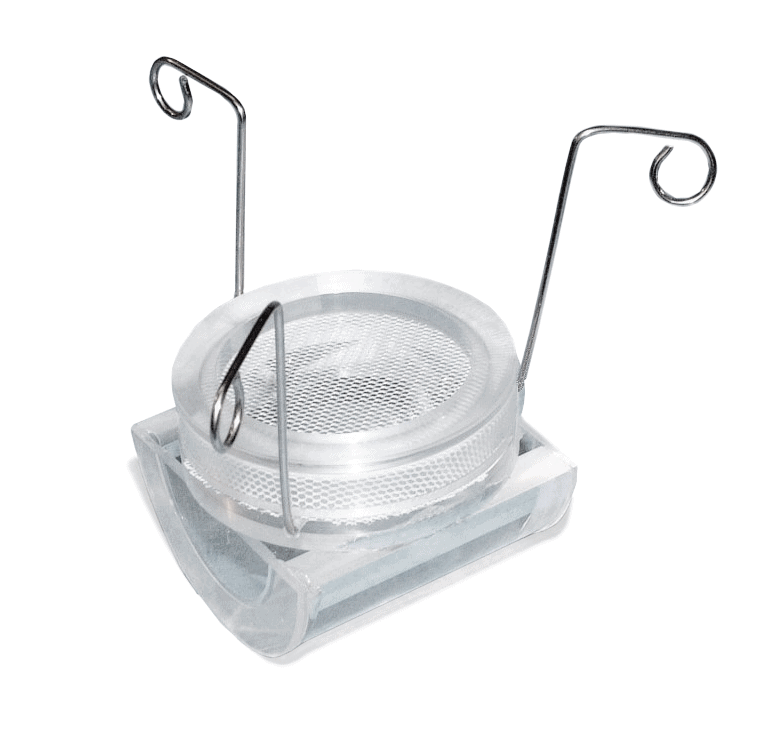 The BSK1 together with the BSKV holding vessel can easily be placed into a water bath for regulating the incubating temperature as desired. 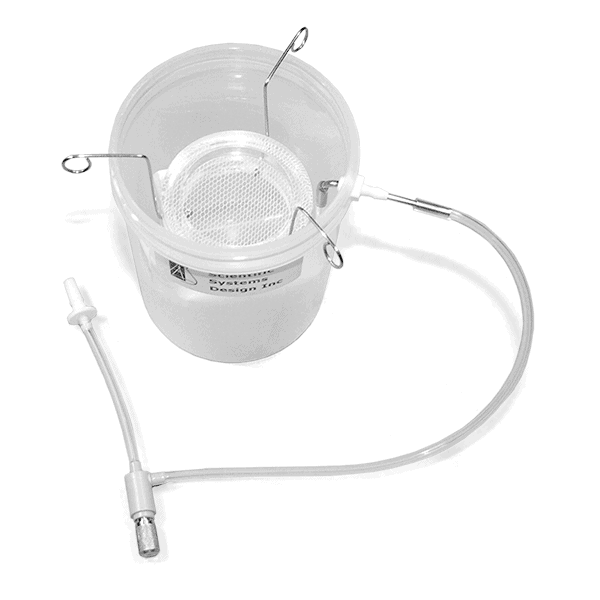 Alternatively a standard Buchner funnel with 40 to 60 micron porosity sintered glass membrane can be used instead of the BSKV. The BSKV now includes a needle valve for adjusting gas flow.